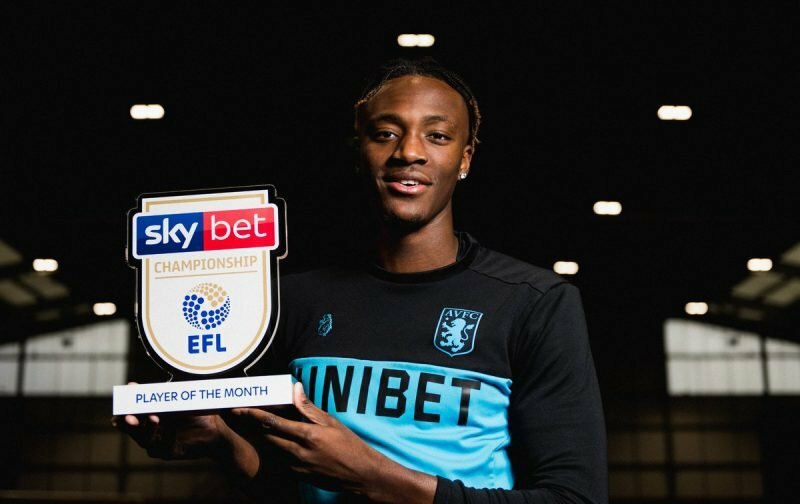 With the rumour mill long suggesting that Chelsea would be recalling striker Tammy Abraham to simply loan him out again to a Premier League team, or alternatively simply sell him, Aston Villa head coach Dean Smith has played down the suggestions in the tabloids. With no quotes or any real concrete information backing up the claims they have always looked like standard journalistic licence to fill a few column inches, or put another way, fabricated BS that’s all to common these days, but with Abraham scoring a brace again earlier today as we took a point from the Queens Park Rangers clash, Smith was obviously asked about it in his post-game interviews. Quoted by the BBC following the fulltime whistle, Smith said that for him the loan was working out perfectly and he saw no reason why that would change and it suited everyone involved that Tammy was playing so well, getting good game time and was scoring regularly again. I would assume if there was anything in it, we would know and Chelsea would definitely have let Abraham know but I guess we can expect it to be regularly regurgitated until the window closes again.